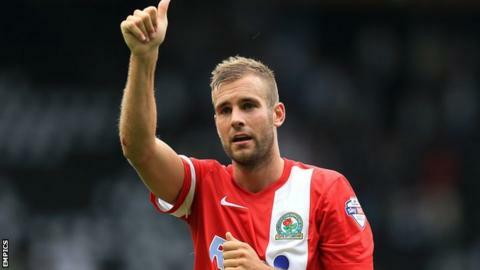 Tommy Spurr has signed a new contract that will keep him at Blackburn Rovers until the summer of 2016. The former Sheffield Wednesday and Doncaster defender, 26, had a year remaining on his existing deal but has extended it by a further 12 months. Spurr made 45 appearances for Rovers in 2013-14, scoring three goals. "I will keep working hard to try and have another consistent campaign next year, when hopefully we can make a real push for promotion," he said. "When the opportunity arose to come to such a big club like Blackburn and play with the calibre of players that are here, I jumped at it and I think it has helped me personally in my performances," Spurr told the club website. "I'm just glad to have played as many games as I have." Blackburn ended the Championship season with a 12-game unbeaten run and finished eighth in the table, just two points from a play-off spot.